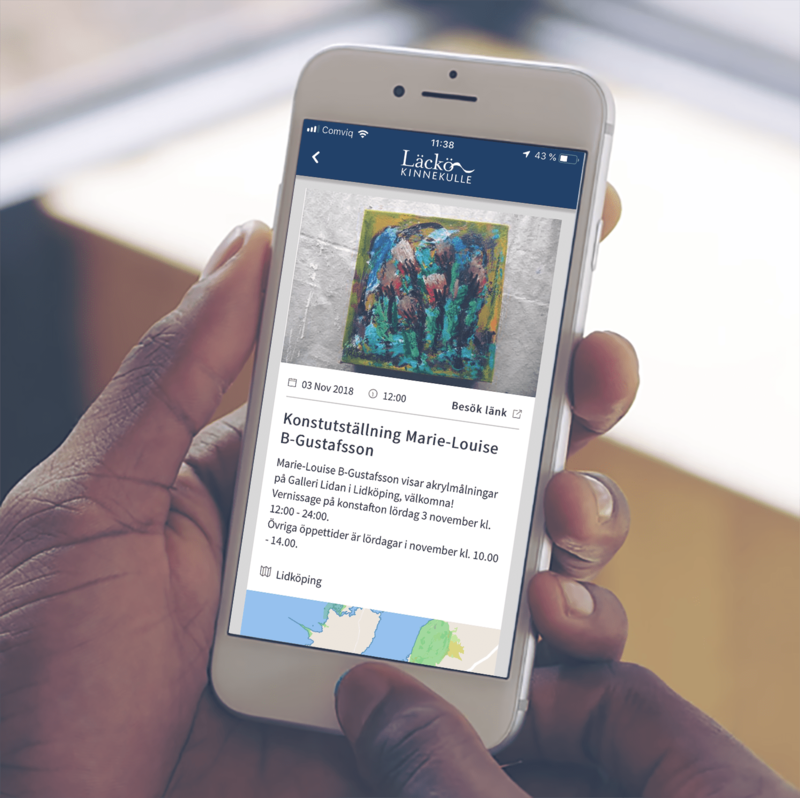 Our new, foxy events feature has been implemented in Läckö-Kinnekulle’s app – check it out on the App Store for iOS or Google Play for Android. 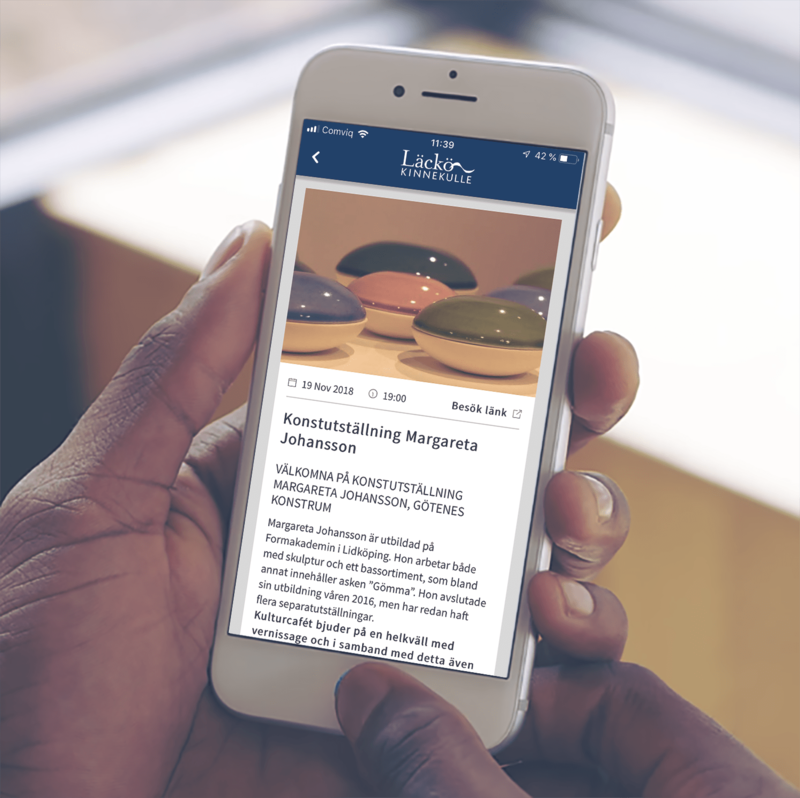 In Läckö-Kinnekulle’s case a software-function is in place, regularly updating and syncing the app calendar with an existing calendar on their website, via VästSverige.com’s api. 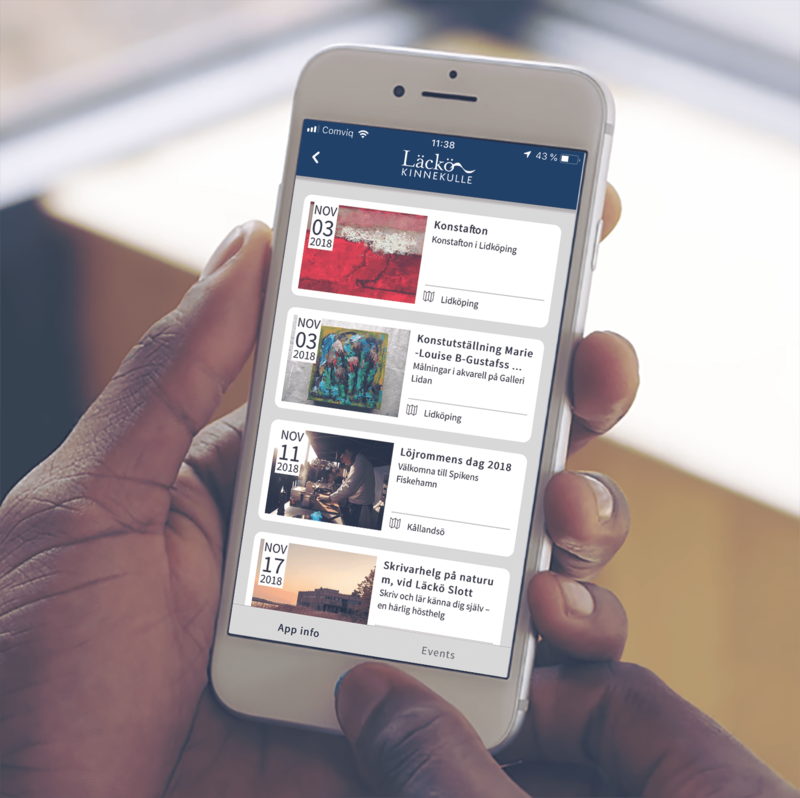 An event calendar is a great way to keep visitors in the know and tell them about events. 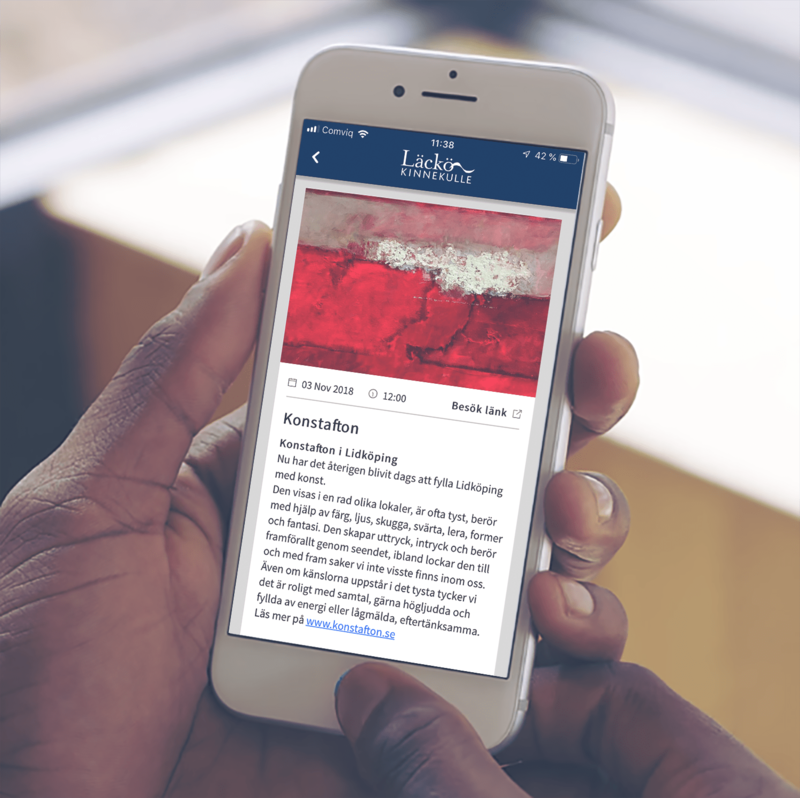 Via push notifications, which they can choose to enable, users are reminded about upcoming events. Want to know more about this feature? Get in touch with us.